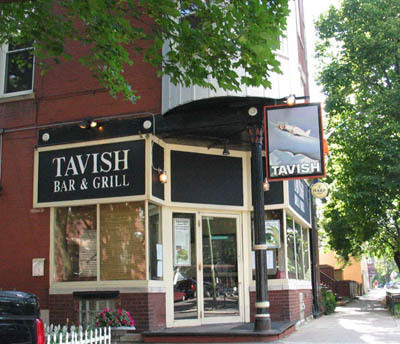 TAVISH is a great corner bar, nice and laid back, with good music and great service. We really love the comfortable booths and dim lighting. It's very cozy and relaxing. If you like to be able to actually hold a conversation while you're at the bar, this is a great choice for you. Also very good for dates. If you've got a big appetite, you will enjoy noshing on their pasta, pizza, and sandwiches. If you've been seeking a new place to relax in the Lincoln Park area, Tavish is definitely worth checking out.